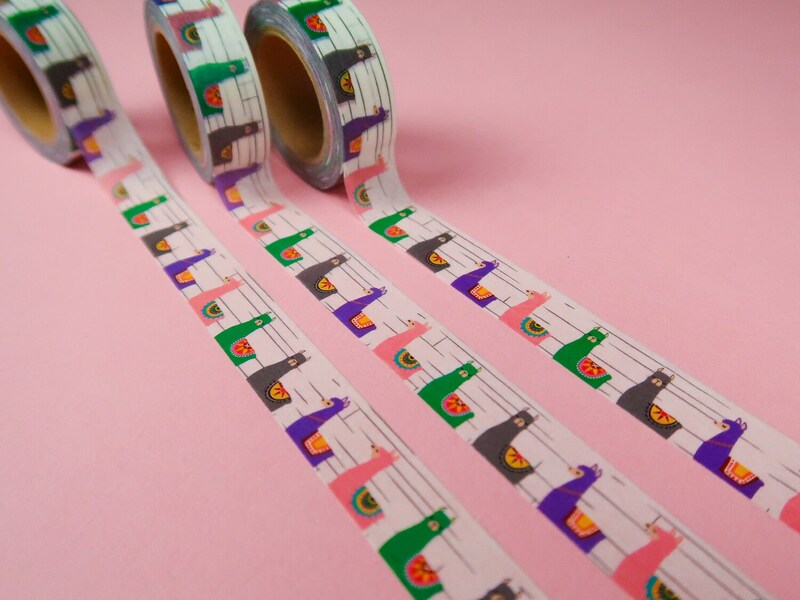 This Washi Tape is decorated with a variety of cute colourful llamas. 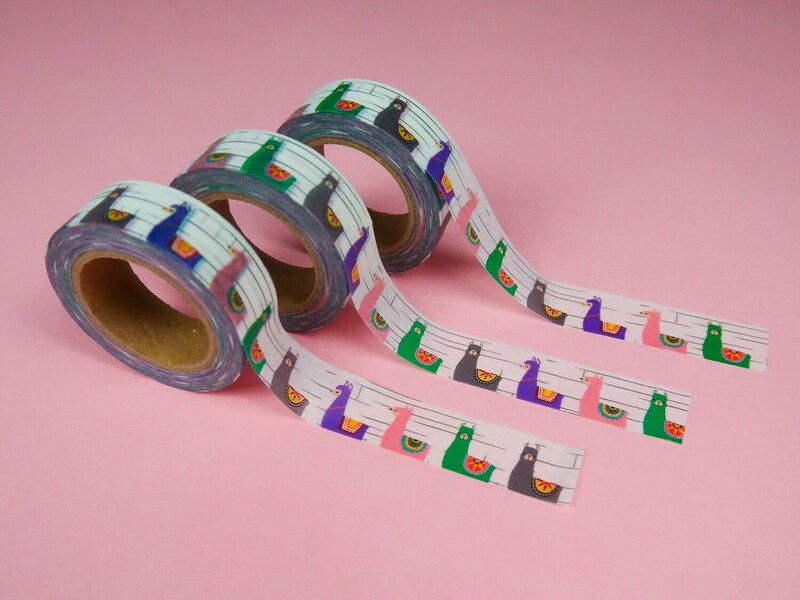 Each roll of tape is 15mm wide and 8m in length. 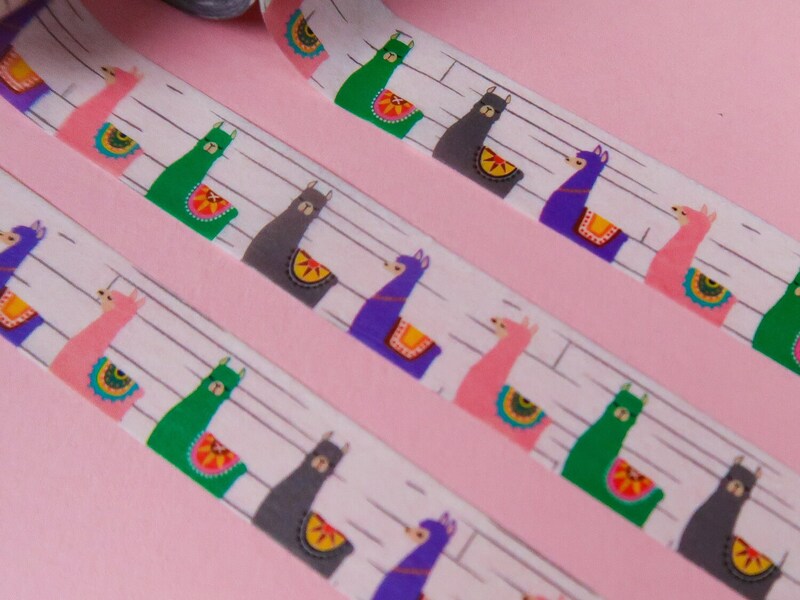 This listing is for ONE of cute Llama Washi Tape.